This content was originally published in BuzzFeed News, and featured by Birthright: A War Story's newsletter. Read more about this issue, and take action by sharing your opinion above. Note: taking action will also register you for Birthright's newsletter. The California State Legislature passed a resolution on Tuesday denouncing "corrective" surgeries on intersex children, a landmark decision celebrated by advocates who have fought against this medical practice for decades. "It’s the very first time that a US legislative body has recognized that intersex children deserve bodily autonomy and the right to make decisions about their own bodies just like everyone else," said Kimberly Zieselman, executive director of interACT, the intersex youth advocacy group that authored the legislation. "We’re hoping it’s just the beginning of more to come." It's estimated that roughly 1 in every 2,000 babies in the US are born with genetic, chemical, or anatomical features that fall somewhere between what's typically identified as male or female. Beginning in the 1950s, most surgeons began "correcting" these perceived abnormalities so that babies would appear more male or more female. More recently, the intersex community and groups like the UN have decried this practice as a human rights violation that occurs without the informed consent of young patients. Advocates have also argued that the surgeries come with potential harms, including scarring, chronic pain, urinary incontinence, loss of sexual sensation or function, psychological damage, and incorrect gender assignment. 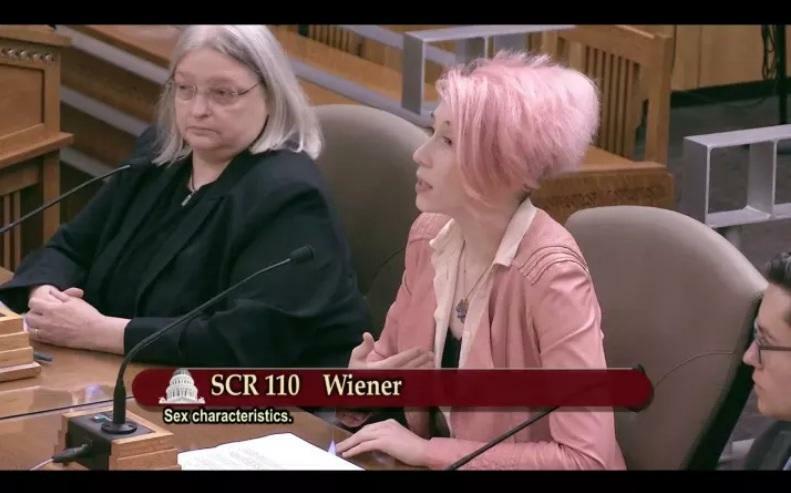 The new legislation, known as SCR110, was introduced by state Sen. Scott Wiener and cosponsored by interACT and Equality California. Although SCR110 doesn't outlaw the surgeries, advocates are hoping that it sends a strong message to doctors practicing in the state. The California Urological Association spoke out against the bill in March. While acknowledging the shortsighted medical practices of the past, they argued that the technology has advanced to improve outcomes for patients, and that surgery should not be taken off the table as an option. "A single standard of care is neither reasonable nor rational," they wrote. interACT is currently in conversation with legislative staff in other states as well, Zieselman said.